Thread: What's your Native American Zodiac sign? Otter Jan 20 - Feb 18: quirky, unorthodox, and unconventional. Wolf feb19 - mar 20 emotional, passionate, lovers. 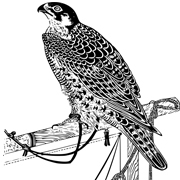 Falcon Mar 27 - Apr 19 natural born leader, clear judgment. Beaver Apr 20 - May 20 take charge, adapt, overcome, efficiency. Deer May 21- Jun 20 muse, inspiring, lively, quick witted. Woodpecker Jun 21 - Jul 21 nurturing, listener, empathetic, understanding. Salmon Jul 22 - Aug 21 electric, focused, intuitive, creative. Bear Aug 22 - Sep 21 pragmatic, methodical, practicality, level headed. Crow/Raven Sep 22- Oct 22 enthusiastic, entrepreneur, charmer. Snake/Serpent Oct 23- Nov 22 shaman, matters of spirit. Owl Nov 23 - Dec 21 changeable, mutable, warm, easy going. Goose Dec 22 - Jan 19 persevering, dogged, ambitious. I am a cancer and a woodpecker. I am nurturing, a good listener, empathetic and understanding. People born between Jun 21- Jul 21. Woodpeckers are usually the most nurturing of the Native American animal symbols. The consummate listener, totally empathetic and understanding, the woodpecker is the one to have on your side when you need support. Of course, they are wonderful parents, and equally wonderful friends and partners. Another proverbial feather in the woodpeckers cap is the tendency to be naturally frugal, resourceful, and organized. In a nurturing environment the woodpecker is of course caring, devoted, and very romantic. The Falcon is a symbol of wisdom and inspiration. People that have the Falcon as their totem share this passion for truth and knowledge. People born during this time are natural-born leaders who should be sought after for their judgment and wisdom. Beaver. I don't think it fits. Deer. Nah, I’m not death,y terrific of ...everything. "I'm your parent therefore I have more power over you." - Every annoying hypocrite parent ever. MBTI - Not telling due to biased stereotypes. These all do share similar traits and none that I am proud of. Wolf. Owl would be a better fit. idk if I enjoy being correlated to a wolf but the description fits. SURVEY: list your zodiac sign, MBTI, and enneagram!